It is hard to believe that 2012 has arrived and that we are half way through our year. Wow.. this year has flown by. I know I am going to age myself now but let me tell you as you get older they ALL fly by. 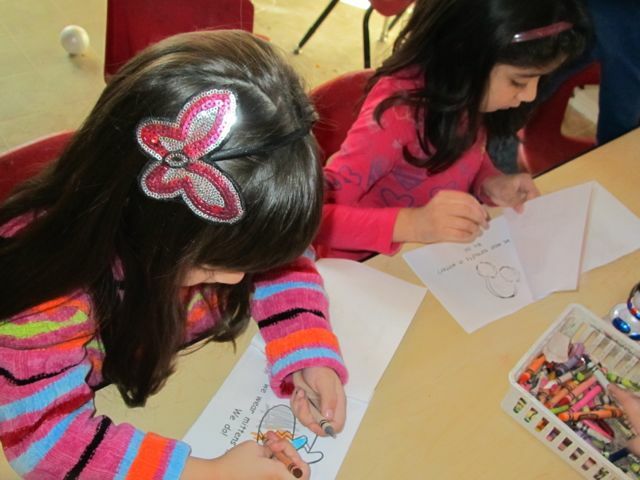 Today we started a new unit – Winter . 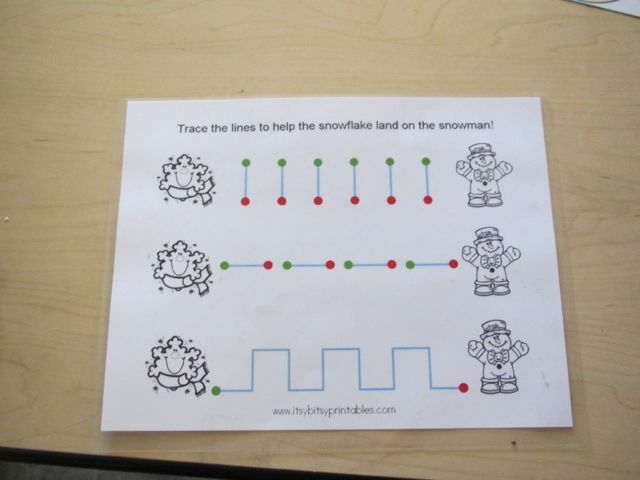 Some objectives I have set are listening for the S sounds in snow and the W sound in winter and being able to sort objects with these two sounds , noticing differences in the weather and our environment and how some animals survive the winter being outside in the snow. Now.. I feel like I can never say this enough. 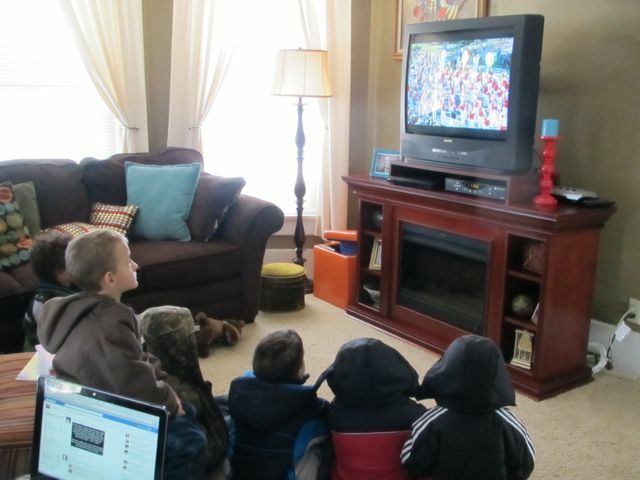 My units are not designed to stuff all the information about winter in the kids as I can . The unit is the vehicle I drive to teach them all the important things I would like for them to learn before going to kindergarten. Do you ever get tired of doing the same old thing day in and out ? So do kids. 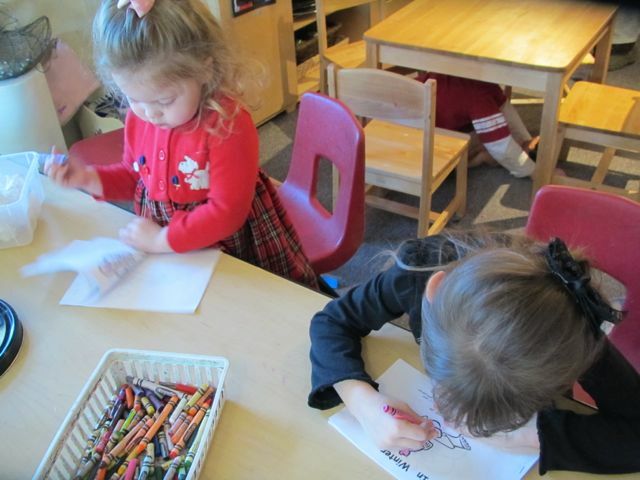 With units I can teach them the same things ( letters, numbers, counting, patterning, etc… ) but it ” looks” different each week and we get to explore new things. Exploring new things also increases that social side of our brain that we use to work out differences and share. 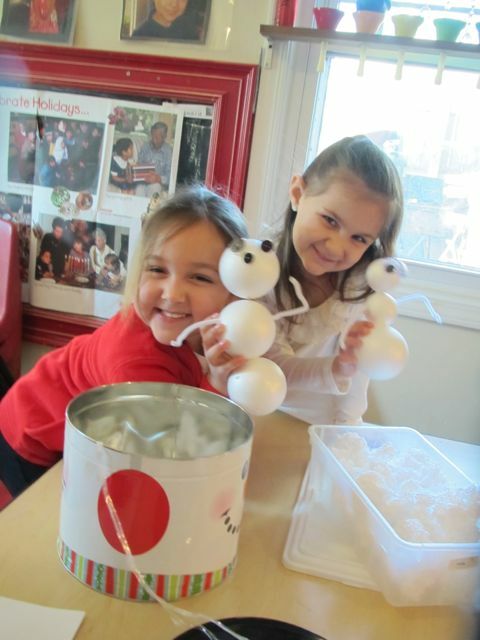 Here are some of the new table activities that were out today. 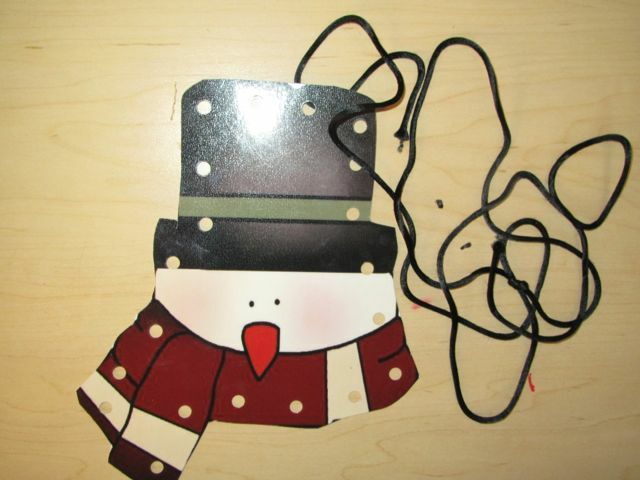 I had a snowman kit. 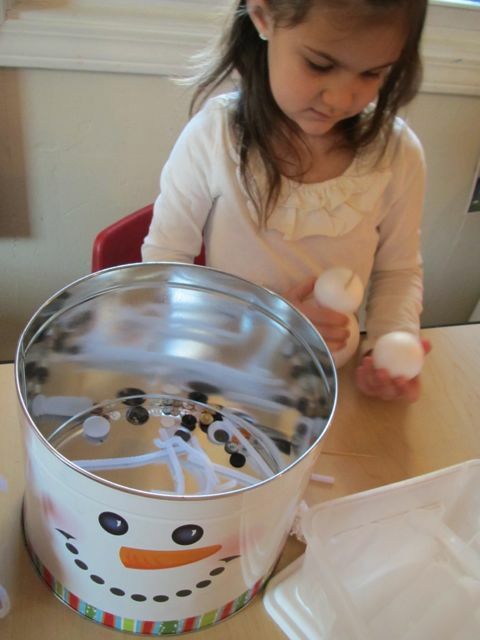 In this tin are things to ” build a snowman with” like syrofoam balls, buttons and toothpicks. 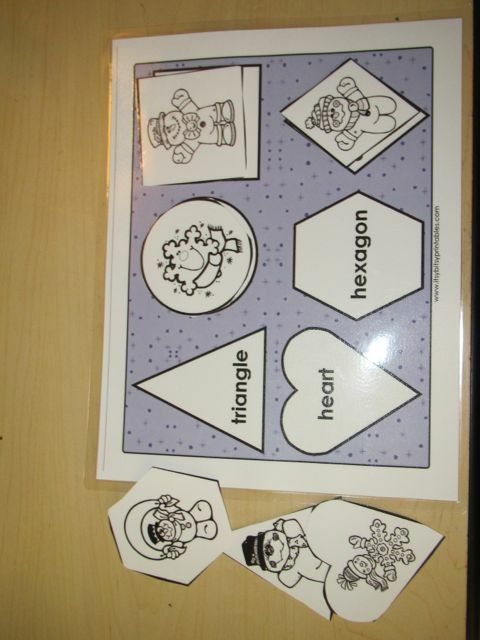 We also had puzzles and lacing cards and matching games. 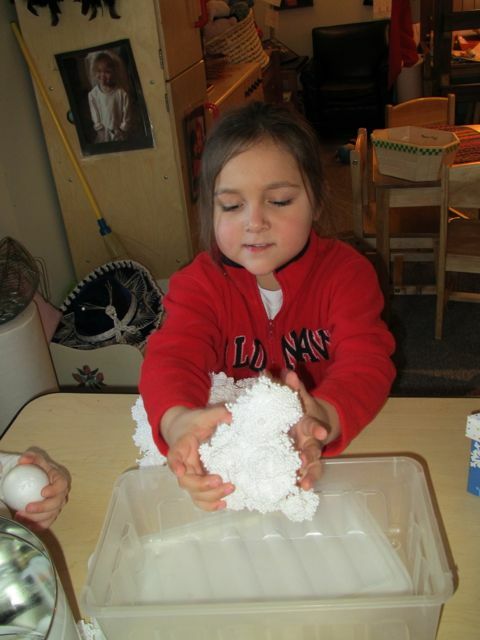 We also had floam.. the kids loved that . During small groups we played a missing number game. 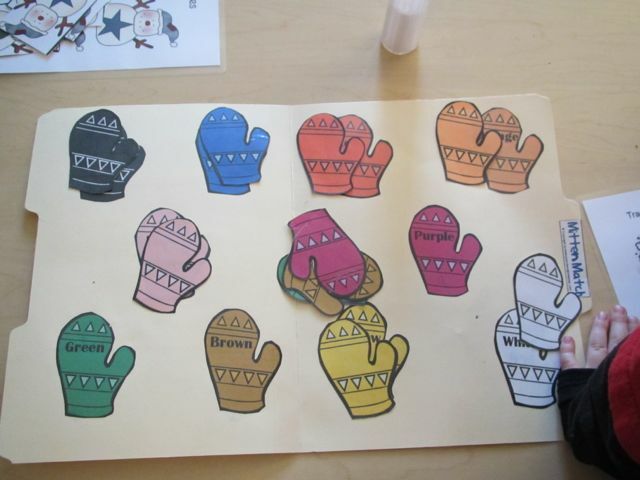 Predictable books are great learning tools for kids. They can pretty much read the book by looking at the picture. 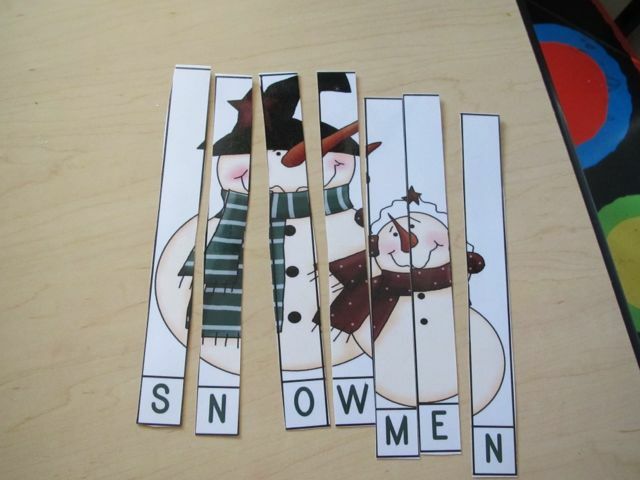 There was lots of snowflake dancing going on today as we sorted and match snowflakes , read a book called ” The Snowy Day” and read a Snowflake poem. They stick to my nose. They stick to my hair. I see that each one is different , just like you and me. 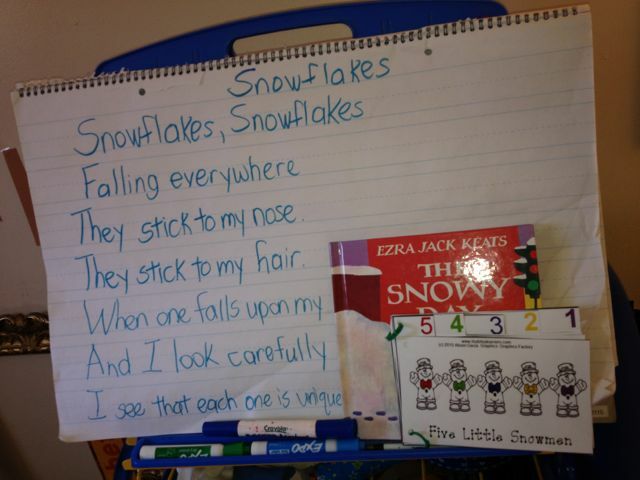 We did this poem to tie into the book “Snowy Day” . There is a little African American boy in the book named Peter. I asked the kids to tell me about him , what is different ? It took many guesses before anyone said ” his skin is brown.” After that realization we talked about one of our friends whose skin is darker than ours. I wonder at what age we start immediately being drawn to our differences .. like skin color. It makes me sad to even think about because differences and bad treatment are surely passed down generation to generation. 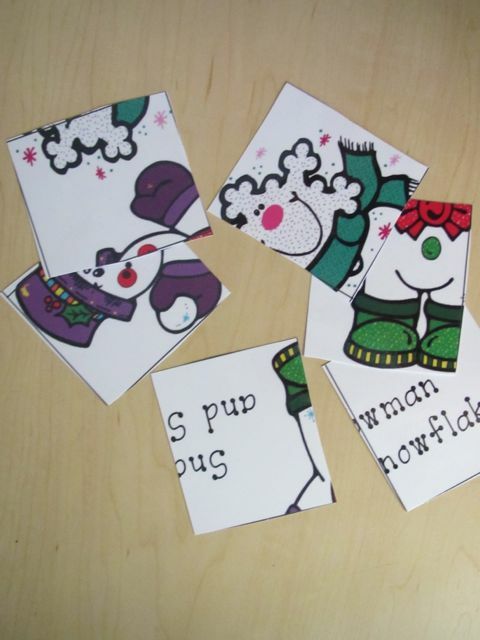 We also read the Five Little Snowman. If there are none left the number is ZERO. 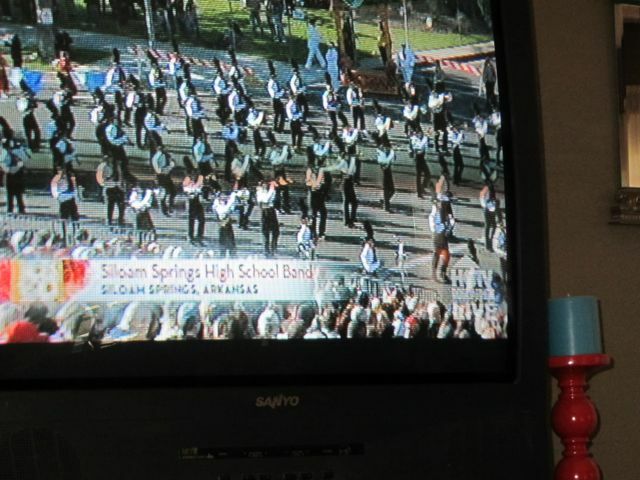 We slowed down for a few minutes to watch the Siloam Springs Panthers in the Rose Bowl Parade. 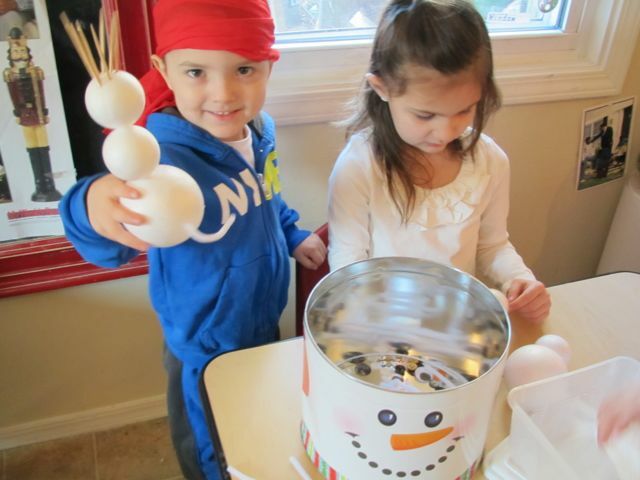 If you want your child to be excited and involved in something like the band or the football team – now is the time to start building that interest by doing simple things like this. We also had some new items of interest in our rooms today. We have snowflakes hanging… did you notice. 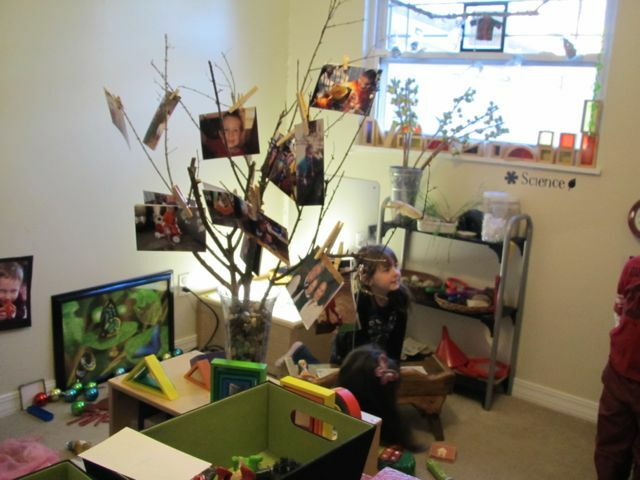 We also have a tree to hang pictures on. 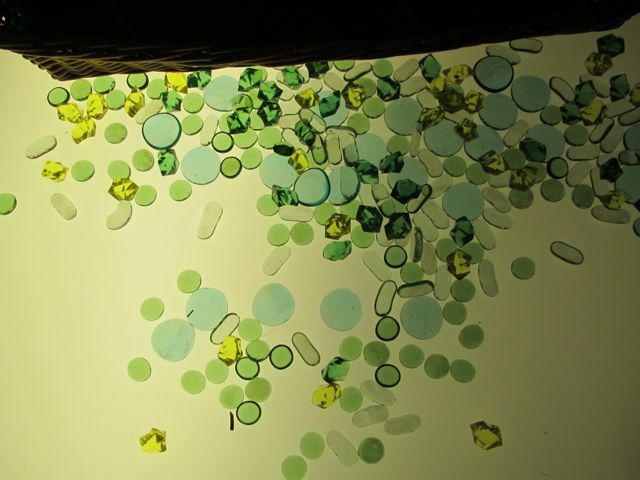 And new glass beads on the light table. It has been a good day. I was happy to see my friends.